After “Breakfast by the Hippo Pool” in Maasai Mara National Park, we headed out to scan the popular crossing points on the Mara River. 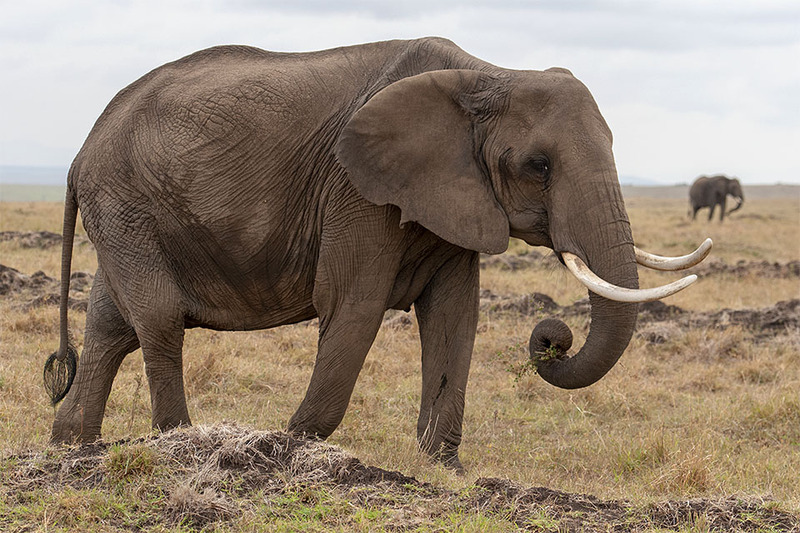 Enroute we saw this African elephant headed to the Mara river, probably to quench her thirst. 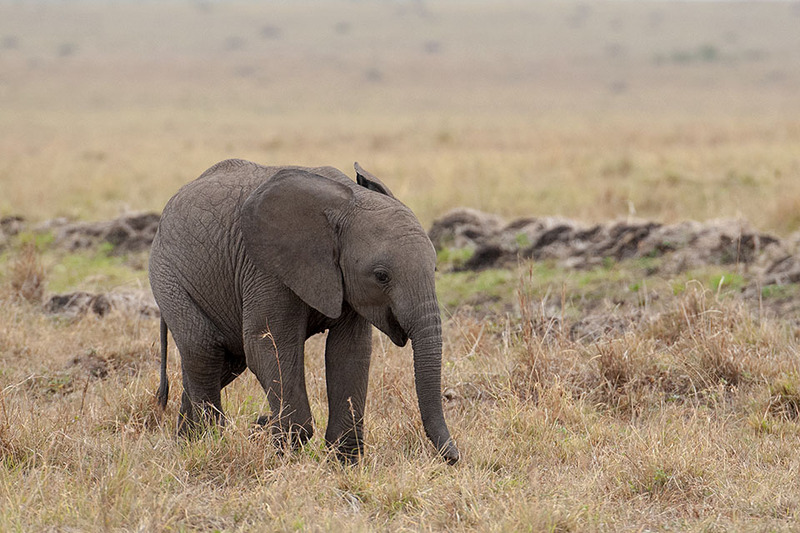 This little fellow wasn’t to be left behind and he was hurried running after his mom. We took this picture when he paused to checkout the dry grass along the way. 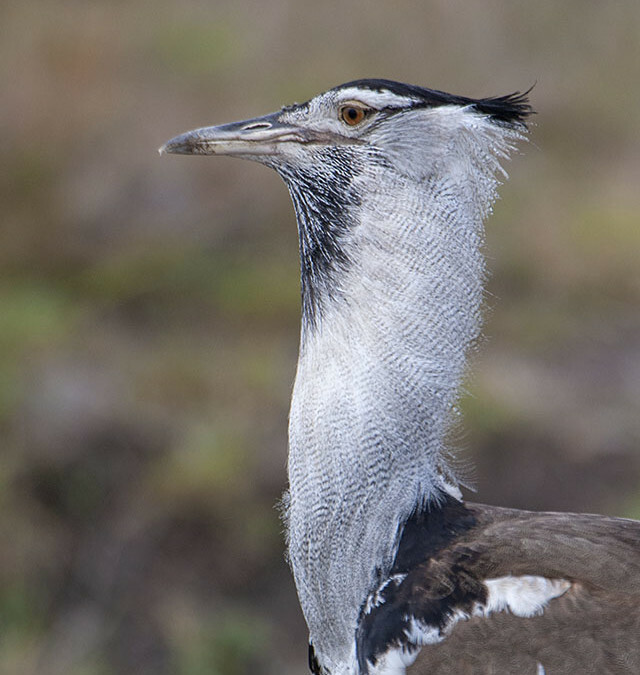 The Kori Bustard, showcased as the feature image (first picture), was the first friendly Bustard that we encountered on our many trips to Maasai Mara and he obliged with a close portrait. Further ahead, these Zebras were in a mock fight trying to size each other. 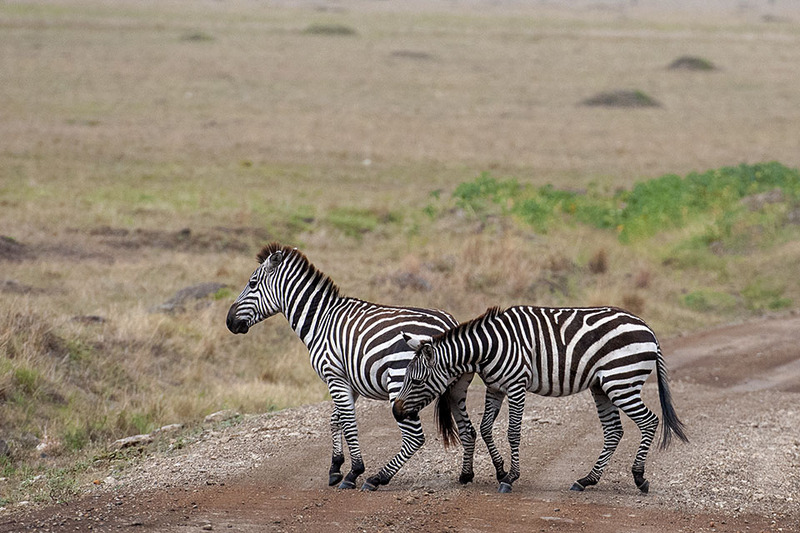 As they crossed the road, one Zebra nibbled at the leg of the other Zebra making a nice composition. That’s when we got the news over the radio that a Leopard has been spotted at one of the major crossing points and we just got it time to see it lazily over the late morning sun. The Leopard kept hitting the snooze button every now and then, unfortunately for us, he was at a distance on the other bank of the river, just enough to get record pictures. 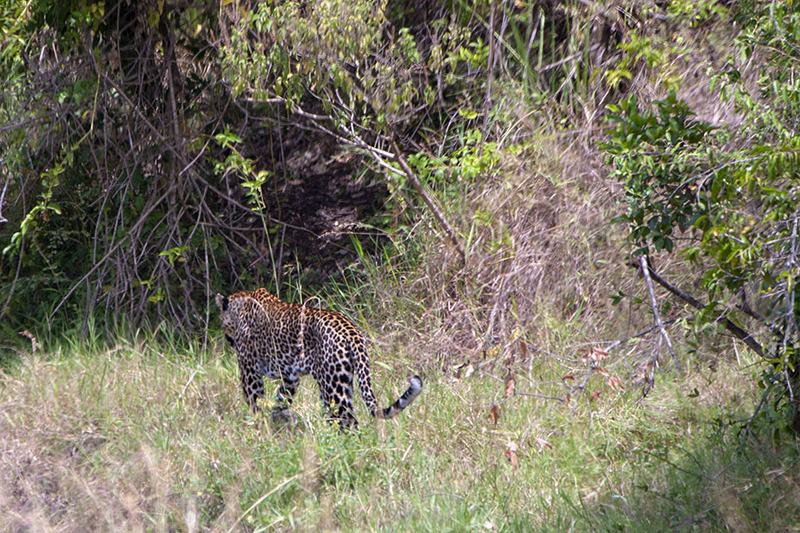 There were many tourists excited to catch a glimpse of a Leopard in Maasai Mara, which is a rare sighting. 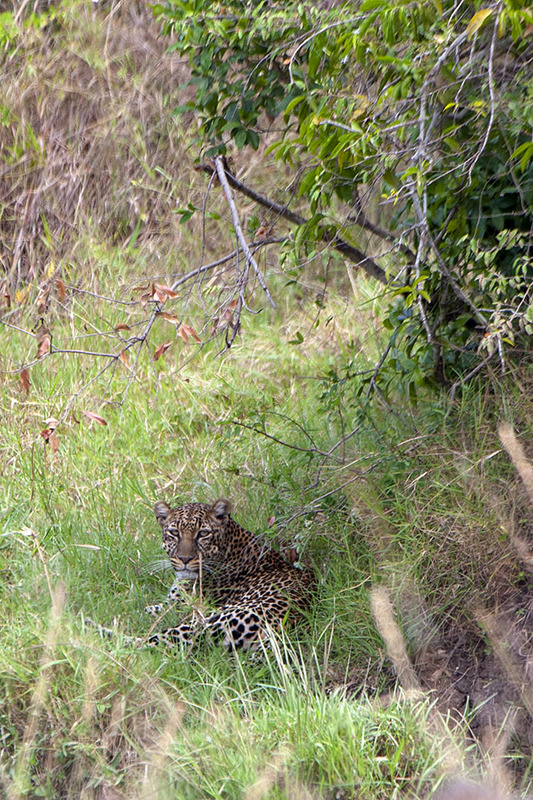 All the commotion was too much for the Leopard and he soon got up and walked away to find a cosier spot away from our prying eyes.